Polaris-owned Victory Motorcycles has issued a recall affecting the whole of its 2015 model year line up. However, Victory says that although all of its models are covered by the recall only 122 bikes are actually affected. Models manufactured between August 11 and September 2 of this year are subject to a transmission fault that could cause the bike to unexpectedly shift gears or drop into neutral. According to the National Highway Traffic Safety Administration, the problem is related to springs in the transmission that may not have been installed correctly. 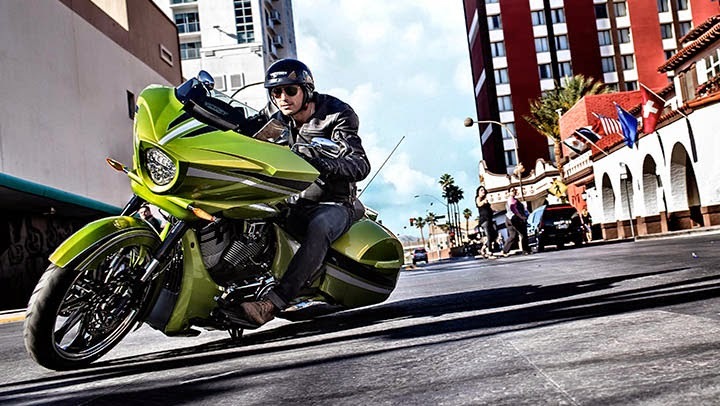 Victory says it has issued a stop sale order to all of its dealers who may still have the bikes in inventory. The company says the issue will be corrected before the bikes are again made available to the public. Additionally, Victory says only four of the affected bikes had been sold and it has contacted the owners to alert them of the issue.